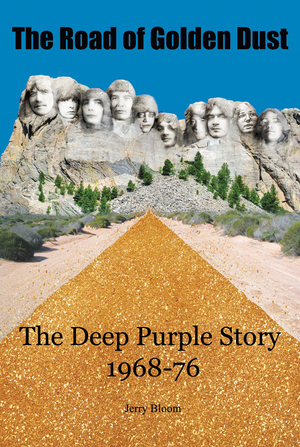 A comprehensive story of Deep Purple’s golden years 1968-76, which saw the band come from nowhere to have a top 4 US hit with it’s debut single. 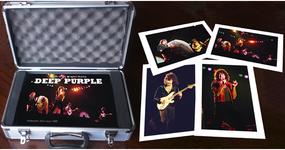 Within two years the band was in the throes of potential dissolvement when the record company went into liquidation. 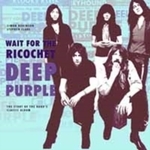 Fortunately, focussing on their homeland in Britain they relaunched their career with the groundbreaking In Rock LP in 1970 - the platform that ensured by 1973 Deep Purple was the biggest selling album artists in America. Band break-ups and in-fighting continually rocked the boat before finally calling it a day in 1976 after a brief UK tour. 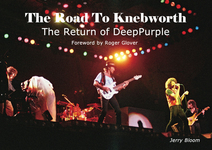 The Road Of Golden Dust documents the ups and downs, drawing on the author’s interviews with various band and road crew members including founding members Ritchie Blackmore, Jon Lord and Nick Simper, as well as interviews with Roger Glover, Glenn Hughes, roadie Ian Hansford, tour manager Colin Hart plus co-operation from the management company Deep Purple (Overseas) Ltd, that all help to unveil some new stories that help to explain the whys and wherefores that shaped one of Britain’s greatest and most influential rock bands of all time.